We currently offer two different packages for this hero party. Please read below to inform yourself on each package and choose the best one for your event, then click the link at the bottom to fill out a request form. All our packages can be performed inside or outside, and can be hosted anywhere, but the bigger your party area is, the better! Package 1 parties especially benefit from extra space. A re your kids older, seen all the cartoons and movies, are die-hard fans and want some major action with the Jedi battling the bad guy? Want to impress not only the kids but the adults too and be the envy of your neighborhood? Then this is the party for you! that is an explosive action packed, fun and interactive theatrical show that everyone will love. An interactive 1 hour story telling play. Good-Guys: A highly skilled Jedi Trainer and his Hairy Wookie sidekick. 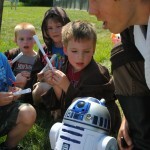 Interactive Toy Props: The R2 Droid, and Master Yoah! Choice of 3 Bad-Guys: Choose from three different ultimate baddies (pictured above). 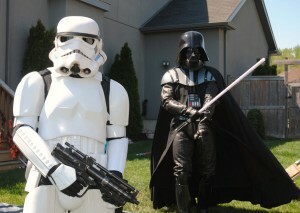 A Body guard Trooper to accompany the bad guy! 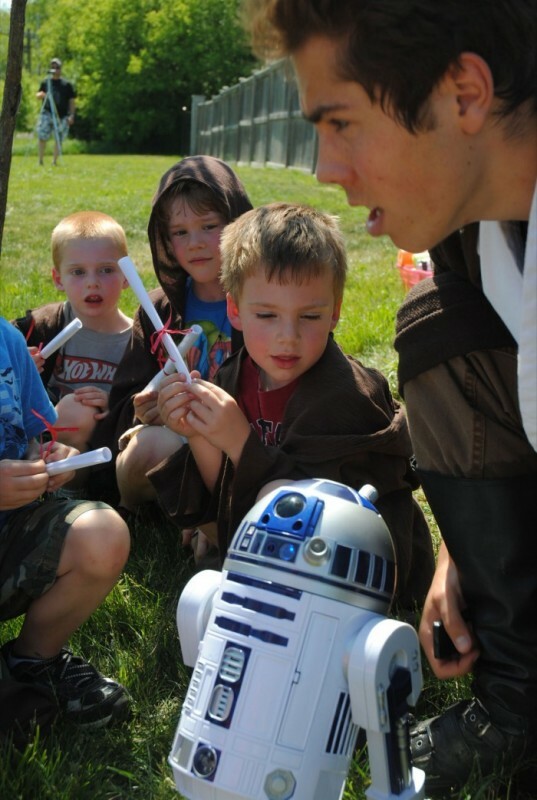 A fun filled workout and Jedi oath. 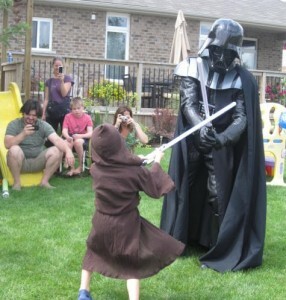 A light-saber stunt show between the good guy vs. the bad guy! Photo opportunity at the end. 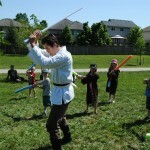 WATCH SOME EXCITING SCENES FROM THE Star Warrior Academy Training Party! NOTE: This party is performed by three persons. One person will play two characters. Only 14 robes and lightsabers are provided at this time. The default villain is Dark Mauller. 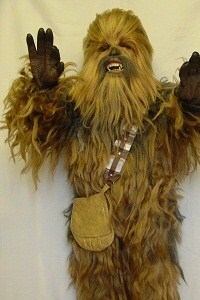 Same as package 1 above minus the hairy wookie and body guard trooper! NOTE: This party is performed by two persons. 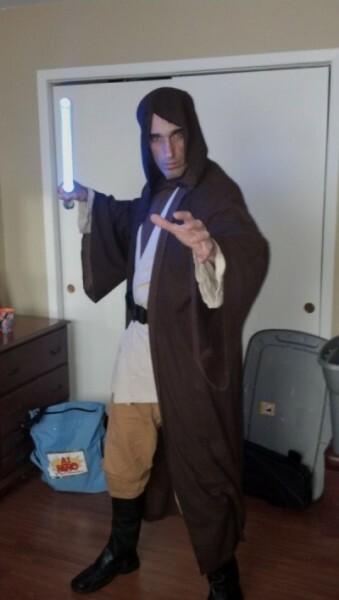 Only 14 robes and lightsabers are provided at this time. The default villain is Dark Mauller. This party is a stripped down version of Package 2 above. You still get the amazing Jedi but there is no villain. 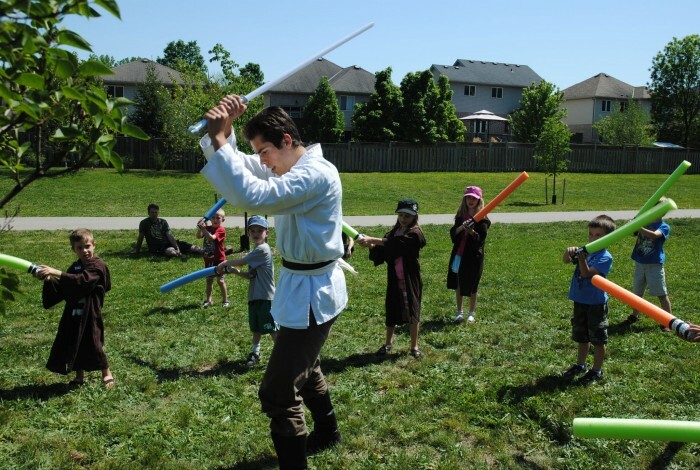 Good-Guys: One highly skilled Jedi Trainer! NOTE: This party is performed by one person. 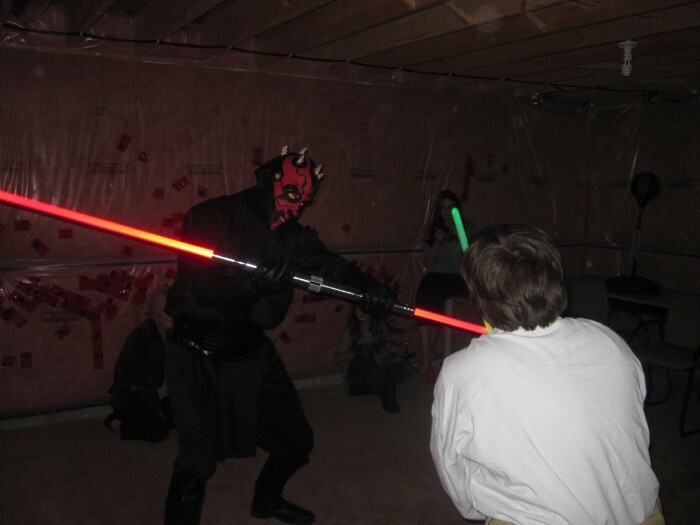 Only 14 robes and lightsabers are provided at this time.